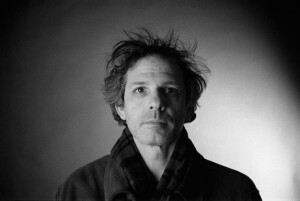 George Nicholas is a New York – based director of photography and award-winning filmmaker. He took his first photograph at age six with his father’s Polaroid Land Camera, and wrote and directed his first play by age nine. George completed his theatre minor at the University of Texas and holds a BFA from the Conservatory of Film at Purchase College. His senior thesis, Exact Fare won the prestigious CINE Golden Eagle Award. He was the Technical Director of the Film/New Media Program at Sarah Lawrence College for eleven years, where he also taught cinematography and numerous independent studies, ranging from traditional animation to documentary filmmaking. George joined the Hofstra Community in 2004 as the manager of the School of Communication’s Equipment Room. He joined the faculty in 2005 as an adjunct professor and has taught courses in the television and film areas, as well as the MFA documentary program. George has taught the Cinematography and Lighting for Film course exclusively since 2009. He has lensed dozens of short films, four feature films, several music videos, and a number of commercials. His work has aired on GMC, VH-1, CMT, MTV, CBS, PBS, and other places no one bothered to tell him about. His still photo work has been displayed in numerous galleries, and his film work has been shown internationally. You can see him at work, shooting the feature film Omphalos in the Keanu Reeves-produced documentary Side by Side He has worked on three continents, and secretly hopes to film in Antarctica.